Baby K’Tan Breeze is exactly the same as K’Tan Original except it has a mesh insert for extra ventilation. All K’Tans have two large loops that are connected with one small loop which is similar to a pre-tied wrap. K’Tan Breeze has a mesh insert on each of these loops. If the weather is hot you can put the mesh part in the front for the baby which will add extra ventilation. If you do not want the mesh part for whatever reason simply rotate the loops and put the mesh part at the back. We love the K’Tan Breeze. It is always good to have that option of extra ventilation. Even if you live in a cool climate you might want to use your K’Tan at home especially when your baby is a newborn. I live somewhere super hot too and have had the ktan breeze in white for a couple weeks and really glad I got that because the airflow is great! 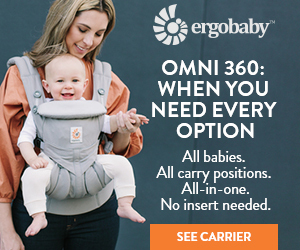 However I will be getting a different carrier when I can. What i don’t like about the ktan is that there is no real head support. She can support her head except for when she is sleeping which is the main reason I use it- to help her fall asleep. Yes you can pull one of the panels from the side over the baby’s head but their head has to be turned to do that and she doesn’t like it. It also slips off – so i have had her in there for some long naps and had to hold her head the whole time which can get really heavy. Lastly, from time to time the two pieces that overlap her will slip and she’s not in there as securely. You have to be aware of how the fabrics are laying. I think the straightforwardness and head rest of a structured carrier would be better for us. 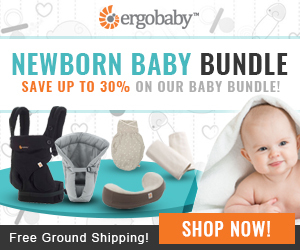 Also parents who have used both Original and Breeze say that the Breeze is less stretchy than the Original, which is great as when your baby gets older the K’Tan tends to sag a little bit. Read more about the K’Tan carrier here. 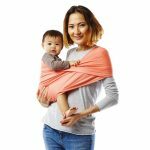 K'Tan Breeze baby carrier is 'pre-wrapped' wrap that was designed for those parents who do not want to struggle with a steep learning curve that the wraps require. K'Tan Breeze features the same unique double loop design and soft fabrics but also has additional mesh inserts on both loops for additional air circulation. So if you live in a hot climate then Breeze is a perfect option for you. Read our detailed Baby K'Tan Breeze baby carrier review with instructions, videos, photos and see if K'Tan is a good choice for you and your family.